Who Placed a Pipe Bomb in a Popular Swimming Hole? Most of us don’t expect to find a bomb at our favorite swimming hole or fishing spot. Recently, however, North Carolina authorities were alerted to a makeshift pipe bomb in the Pigeon River. 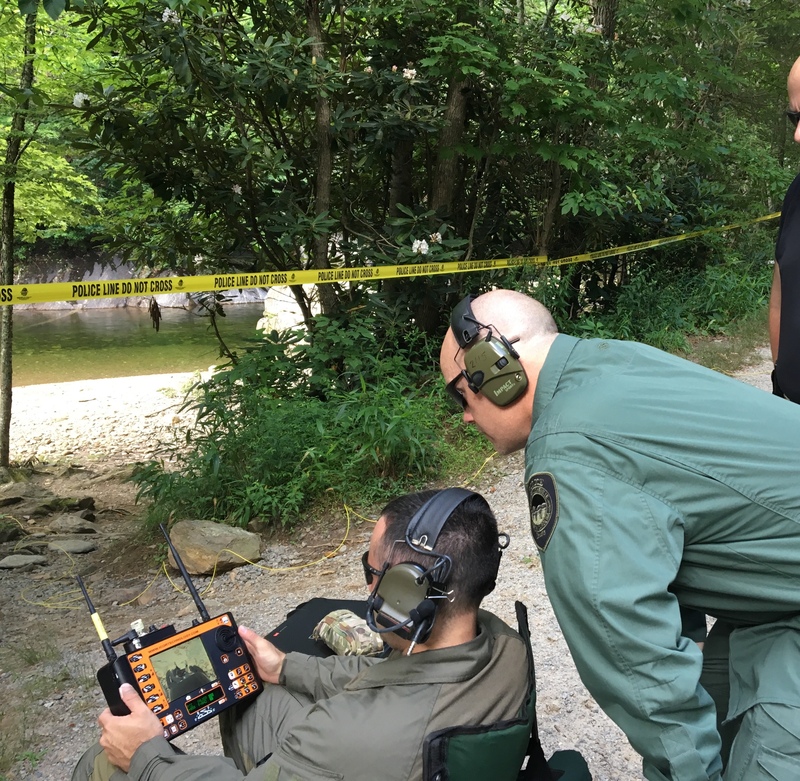 Blue Ridge Outdoors talked to Lindsay Renger, Public Information Officer at the Haywood County Sheriff’s Department, and Lieutenant Joe Silberman, member of the Asheville Police Department Hazardous Device Team (HDT), for more information. Though responding authorities weren’t initially certain exactly how dangerous the bomb could be, the HDT wasted no time in evacuating the campground and recreation area prior to investigating the device. Fortunately, there are no homes or residents live in the area, and the swimming hole isn’t particularly close to any major roads, public areas, or structures. The closest overpass and other portions of nearby roads were completely blocked off during the operation. The bomb itself appeared to be unprofessionally assembled, made from a metal pipe not quite a foot long and about two inches in diameter. According to Lt. Silberman, it had been submerged in the river for some time, but he can’t pinpoint the device’s age or origin. He said the capabilities of most explosives and propellants aren’t necessarily mitigated by water, and that black powder can be soaked for years and still detonated when dried out completely. Possibly, someone had disposed of the improvised device in the river out of fear, assuming the water would render it useless. Silberman said most people assume incorrectly that anything underwater will eventually disappear, similar to attitudes concerning ordinary garbage or pollution. Once the area had been completely cleared, the HDT used a specialized remote controlled bomb-disposing robot to counter-charge the pipe bomb from a safe distance. Essentially, they introduced a small amount of explosive, which breached the outer layer of the bomb, causing it to detonate under supervision. While the explosion was just as large as it might have been if the bomb were detonated accidentally, Silberman said this method was safer than attempting to dismantle or remove the device. After the detonation, the squad donned light armor and conducted a thorough post-explosion investigation of the area. No one was hurt, and the area was declared safe that evening by 6:00pm. Potential leads concerning the bomb’s origin have since been exhausted, and the case is now officially closed. A transcript of the 911 call appears below. Contact the Haywood County Sheriff’s Department if you have any tips or information.